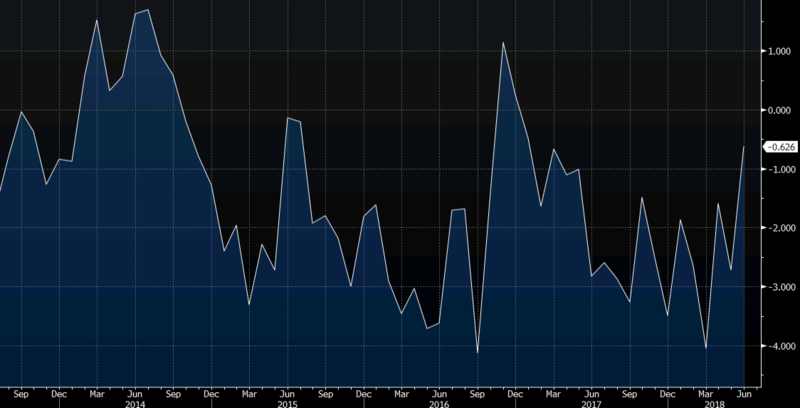 The Canadian monthly trade deficit in June was the narrowest since January 2017 as ex[prts hit a record despite tariffs. Energy exports rose 7.1% to the highest since 2014 and overall exports rose 4.1% to a record $50.7 billion while imports fell 0.2%. Exports of steel fell 37%. The market responded by boosting the Canadian dollar. 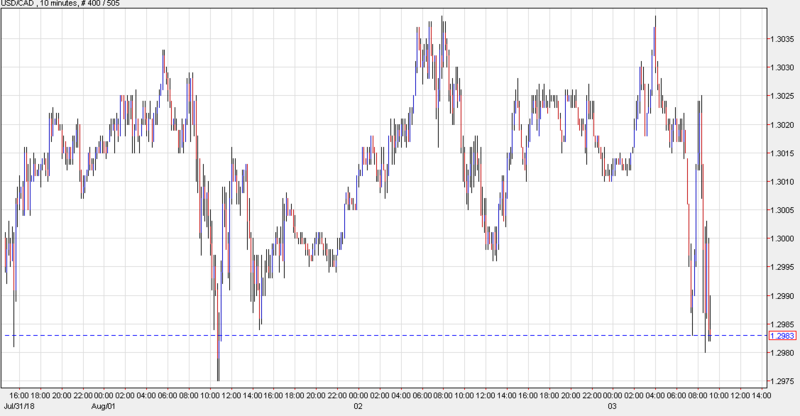 USD/CAD fell to 1.2987 from 1.3020. Signals from the market were skewed because the data landed shortly after China announced it was prepared to retaliate against US tariffs with levies on $60 billion of US goods. Technically, USD/CAD is approaching this week's low of 1.2975. I made the case for Canadian dollar strength yesterday here.